China's leading electric vehicle maker BYD is planning to found an independent company to run its battery business, which aims to grasp a larger market share in the battery industry at a predicted time of soaring demand for new energy vehicles. "BYD is scheduled to spin off its automotive battery division into a separate entity, which is expected to be listed by 2022," said Wang Chuanfu, chairman of BYD, in an interview with Bloomberg News last December. The schedule for separating the automobile battery business depends on the production and operating capability of the division, Wang added. To expand its production capability, BYD has set up a new power battery plant in Northwest China's Qinghai province. With an annual production capacity of 24 gigawatt hours (GWh), the Qinghai new battery plant will go into operation this year. Meanwhile, the automaker claims it has future plans to establish battery plants in Europe. By 2020, the automaker's battery capacity is expected to be increased to 60 GWh, which was 12 GWh in 2017, according to the carmaker. With the rise of the new energy vehicle, this is a golden opportunity to develop the power battery industry, Wang noted. There are more automakers producing electric vehicles, including giants like Mercedes-Benz and BMW. Therefore, the company can foresee potential orders for power batteries in the near future, according to Wang. 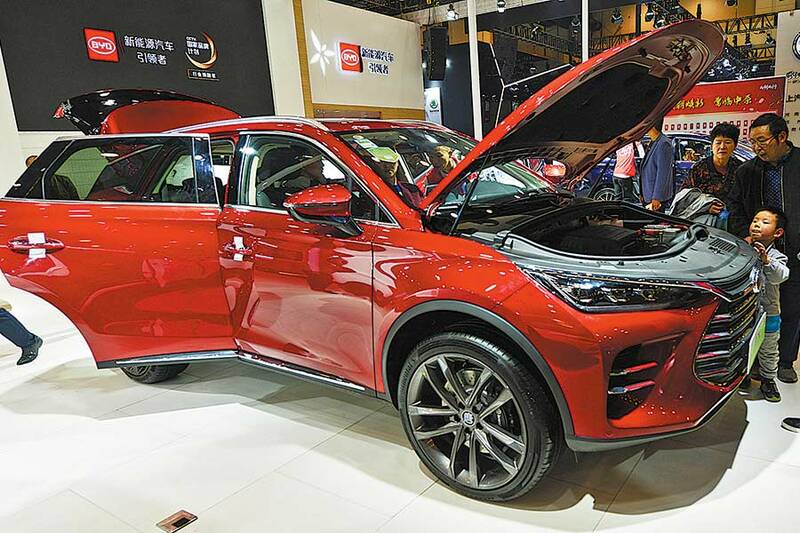 The chairman's confidence in the new energy vehicle industry was confirmed by the China Association of Automobile Manufacturers that revealed the new energy sector in China achieved sales of 1.03 million units from January to November in 2018, breaking its 1 million sales target ahead of schedule. The association forecast that sales of new energy vehicles will increase this year to 1.6 million, up 33.3 percent year-on-year. There's a forerunner - China's leading lithium battery producer CATL, or Contemporary Amperex Technology Co - which has profited from development in the power battery industry. Listed on Shenzhen Stock Exchange Growth Enterprises Market in June, 2018, CATL has achieved a market value of more than 100 billion yuan ($14.56 billion). With its sound development, CATL has joined hands with many powerful automakers, including SAIC Motor, GAC Group, Geely Holding Group and Dongfeng Motor. The carmakers collaborate with CATL to set up battery joint ventures, aiming to alleviate the pressure of supplying batteries, while producing new energy vehicles faster. In addition, CATL has partnerships with global carmakers including BMW, Volkswagen and Daimler and has set up subsidiaries in France, the United States, Canada and Japan.